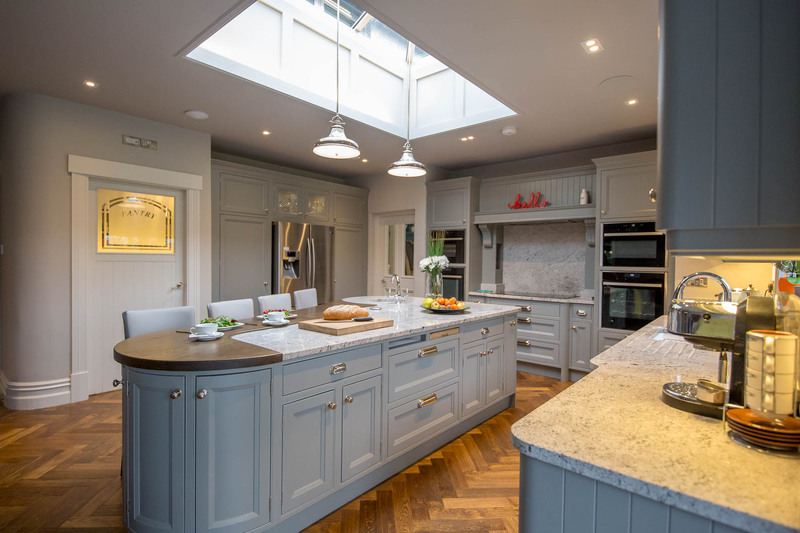 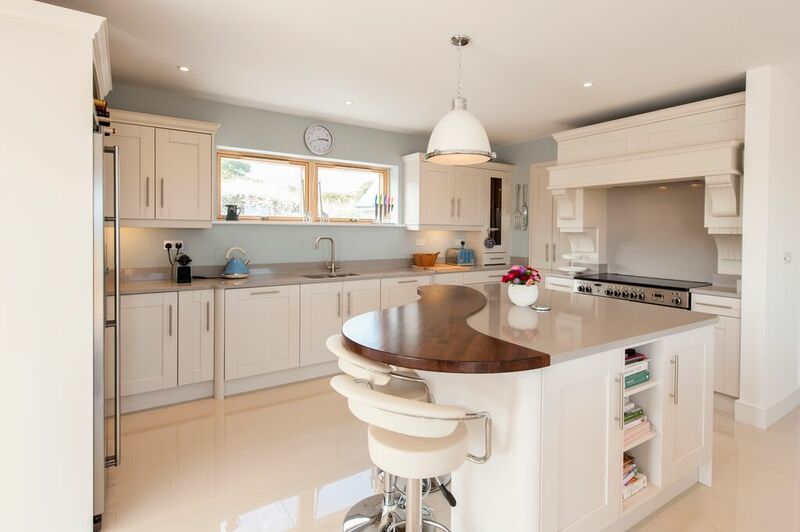 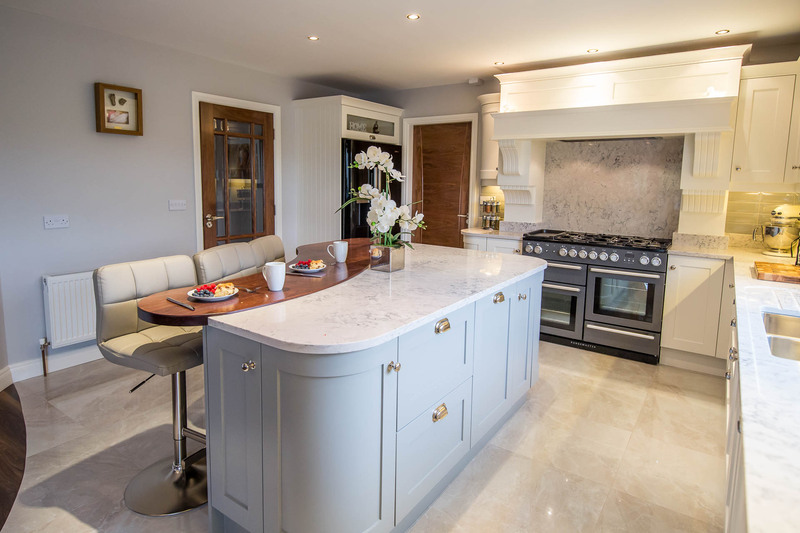 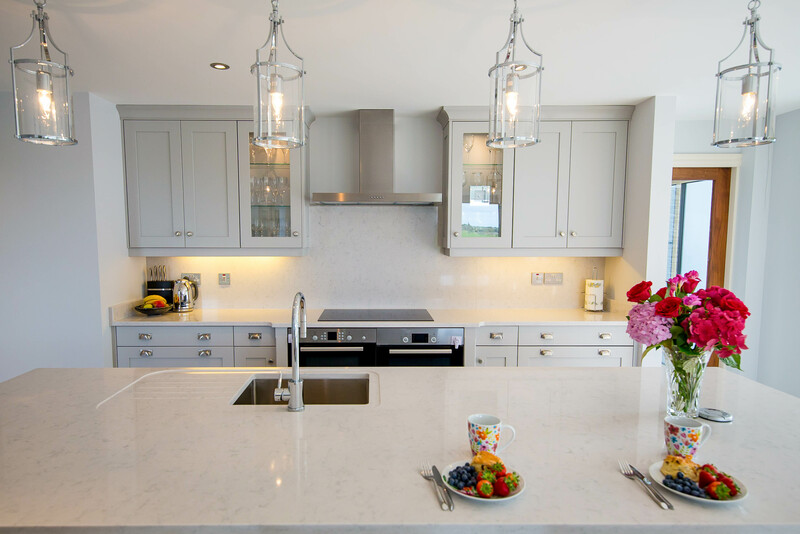 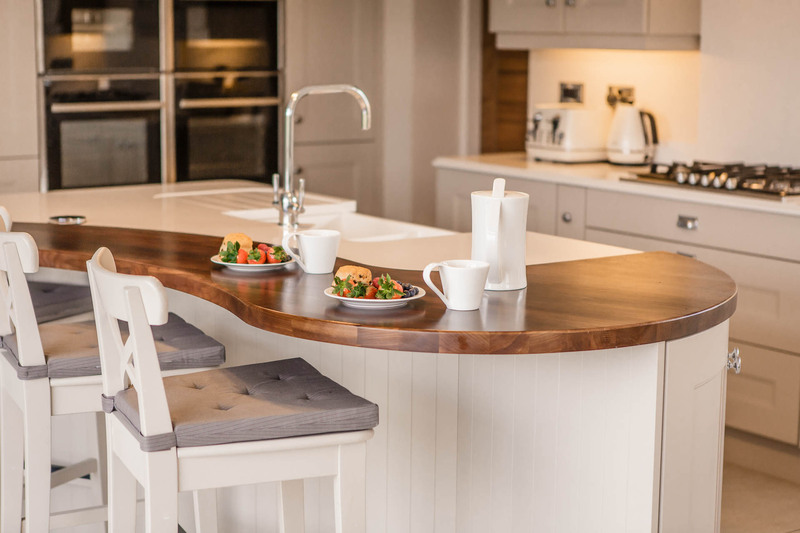 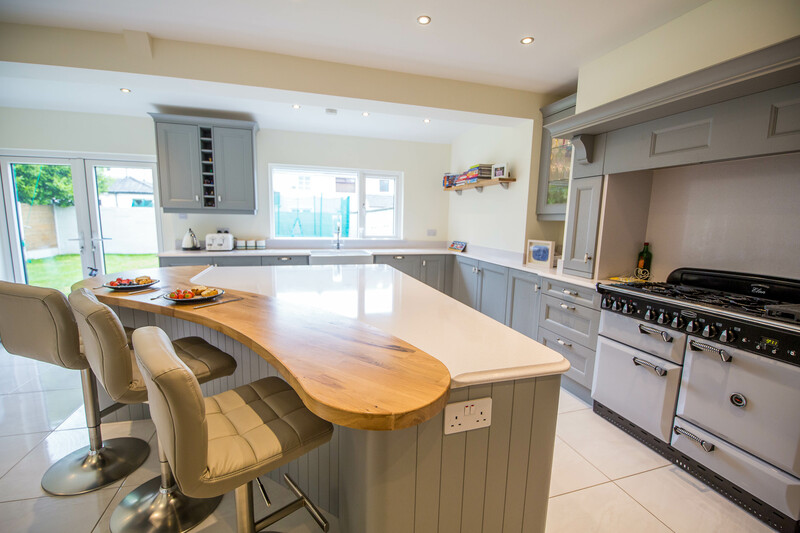 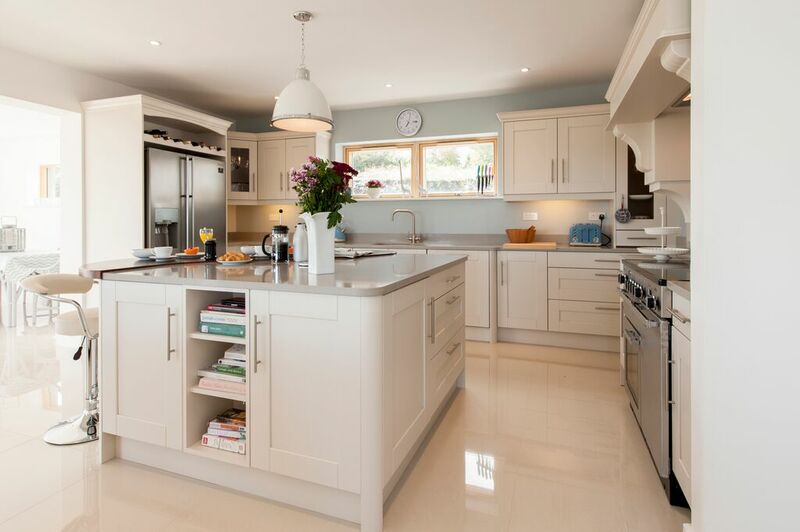 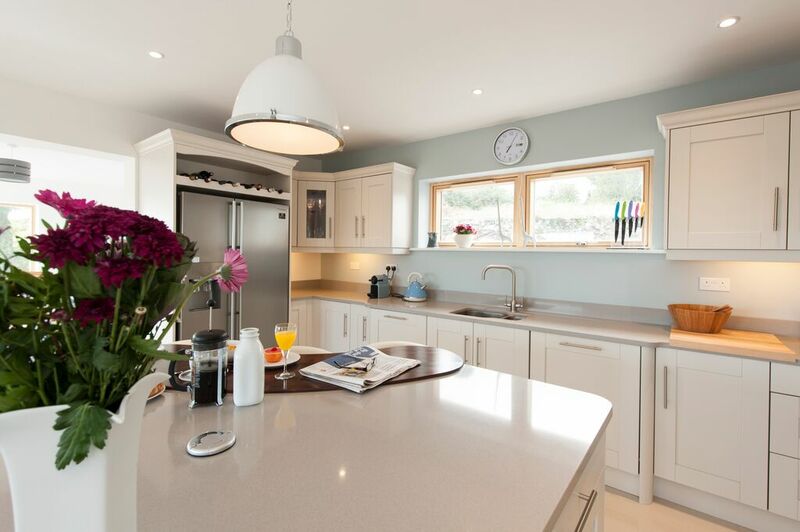 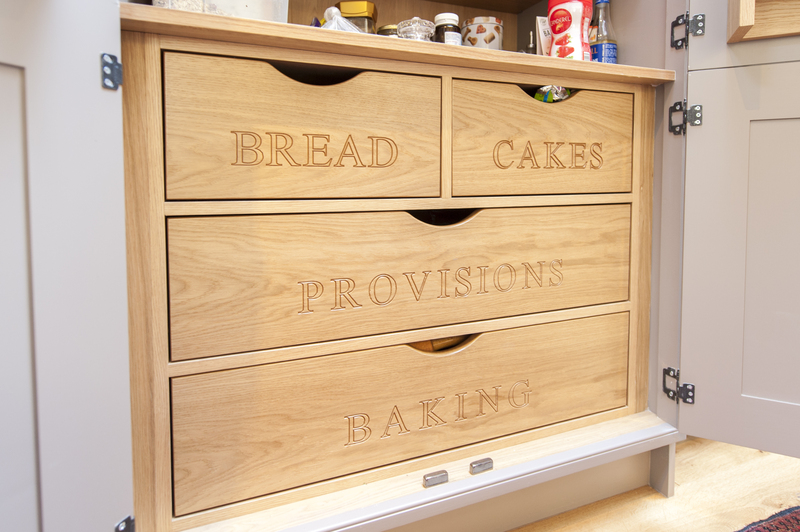 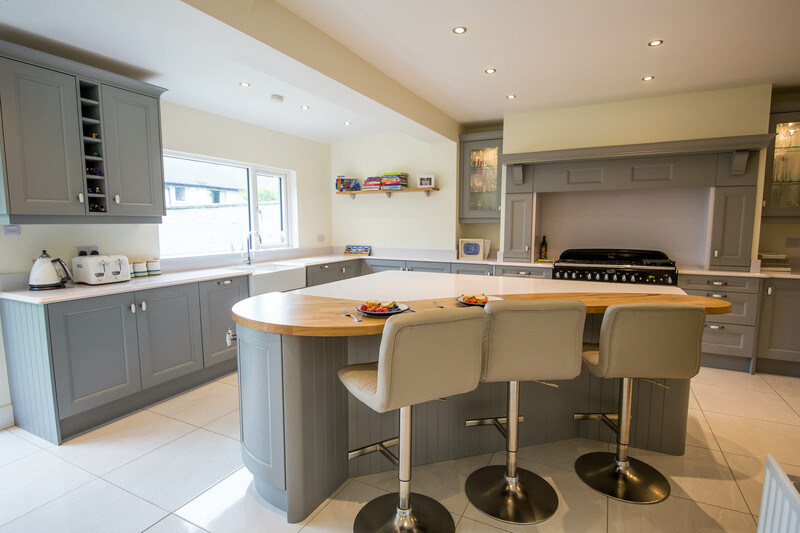 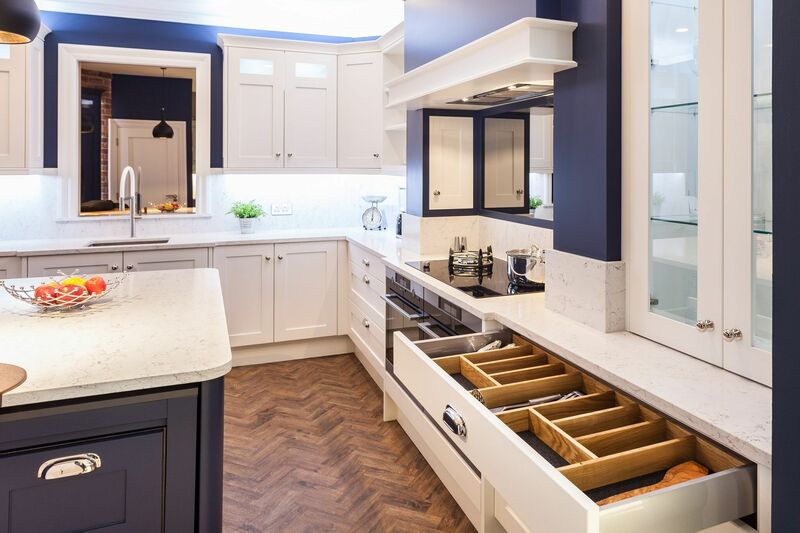 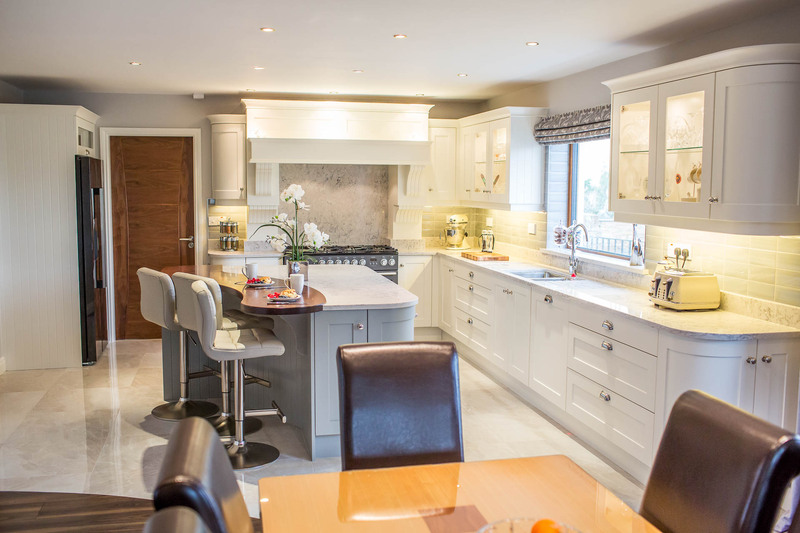 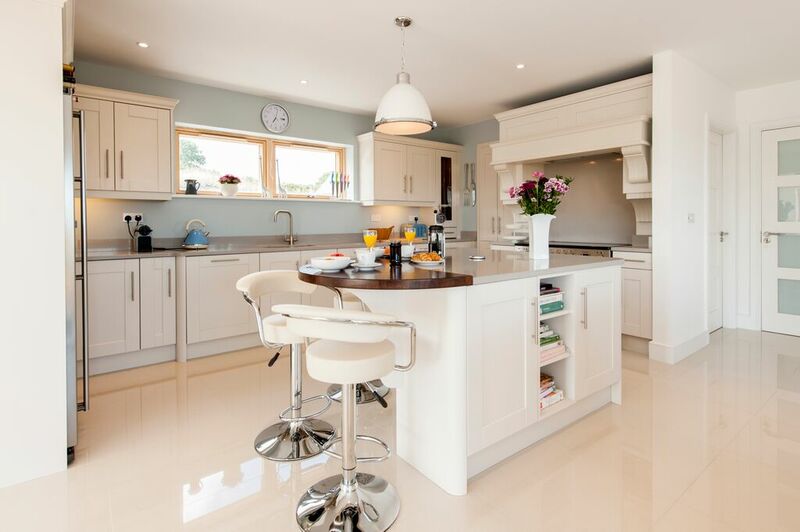 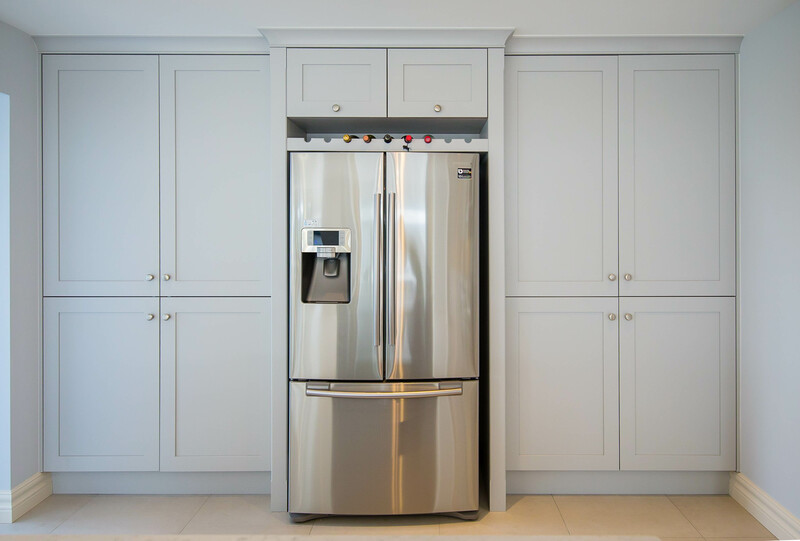 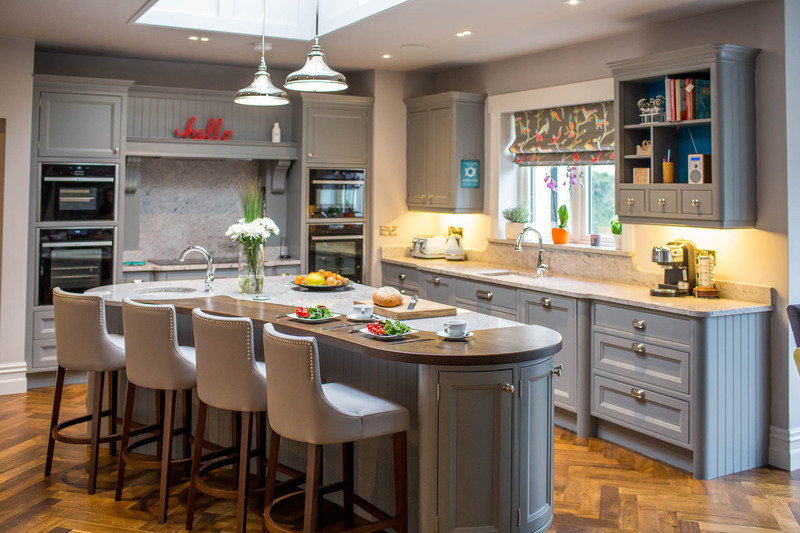 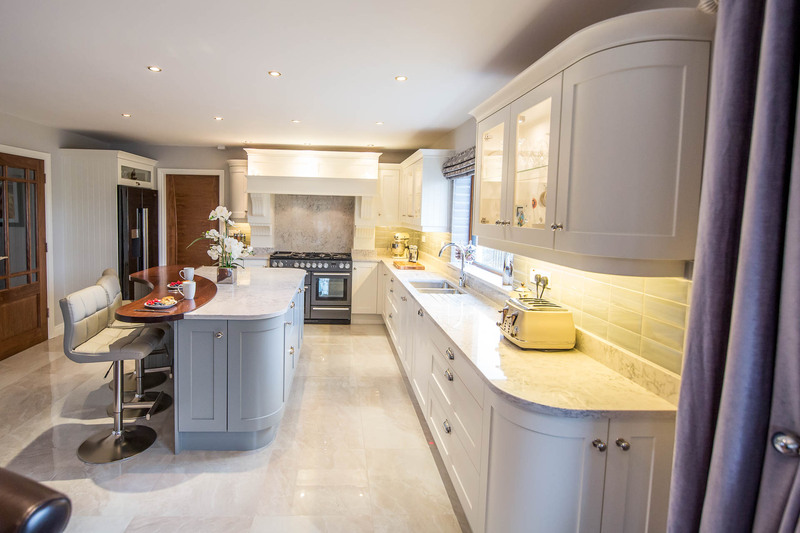 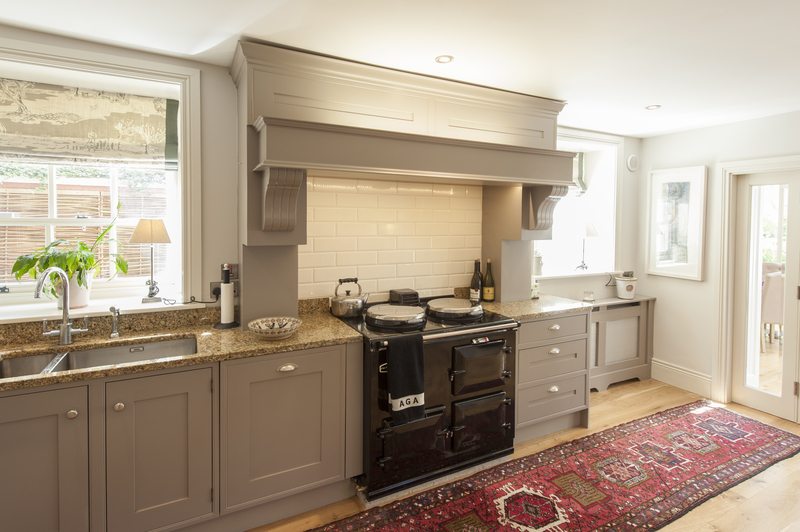 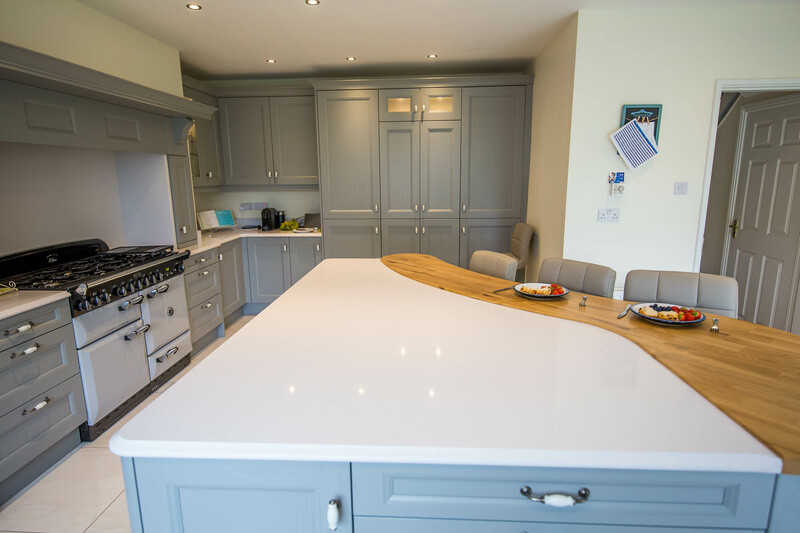 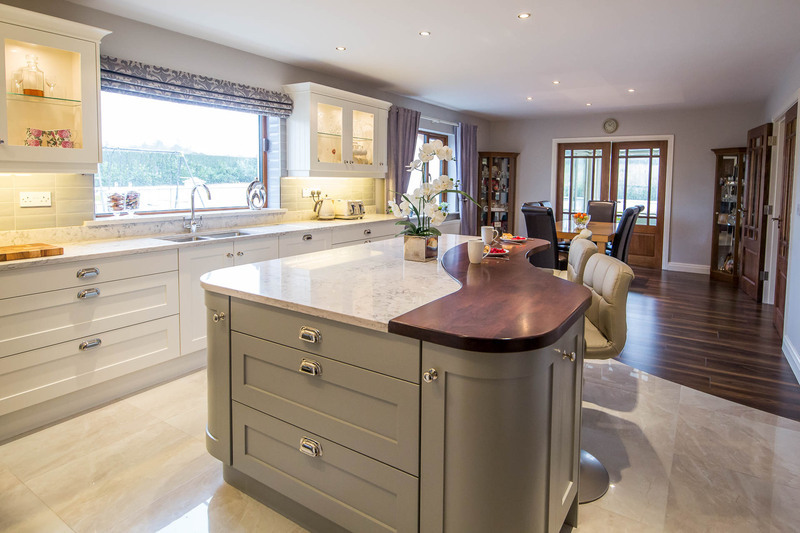 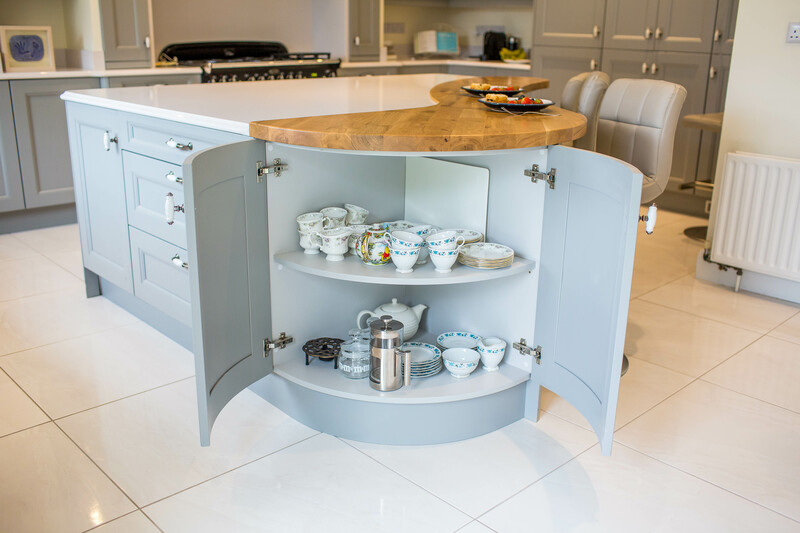 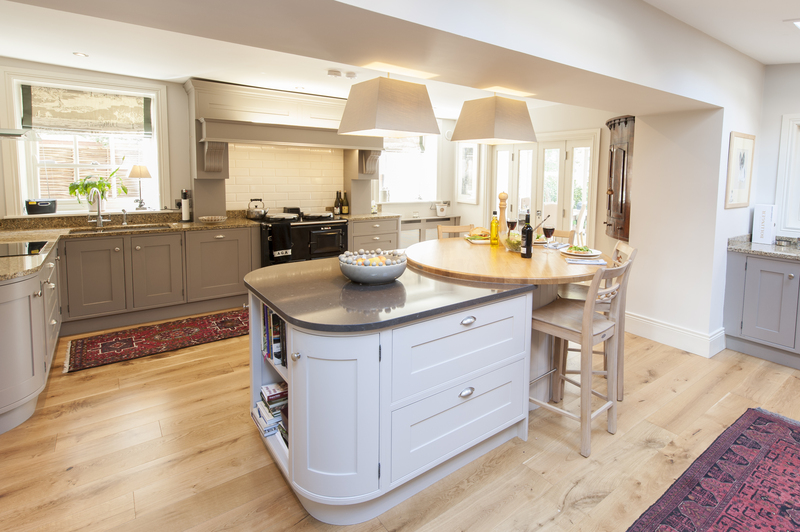 For February we are featuring this stylish painted kitchen. 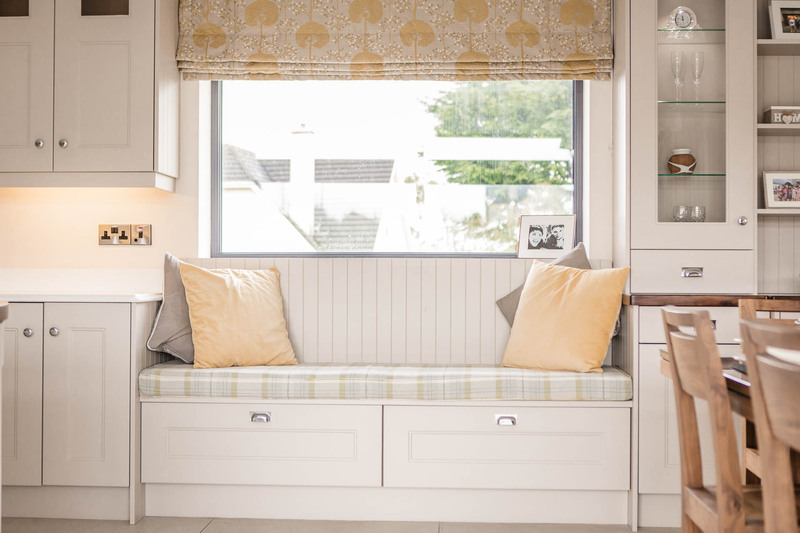 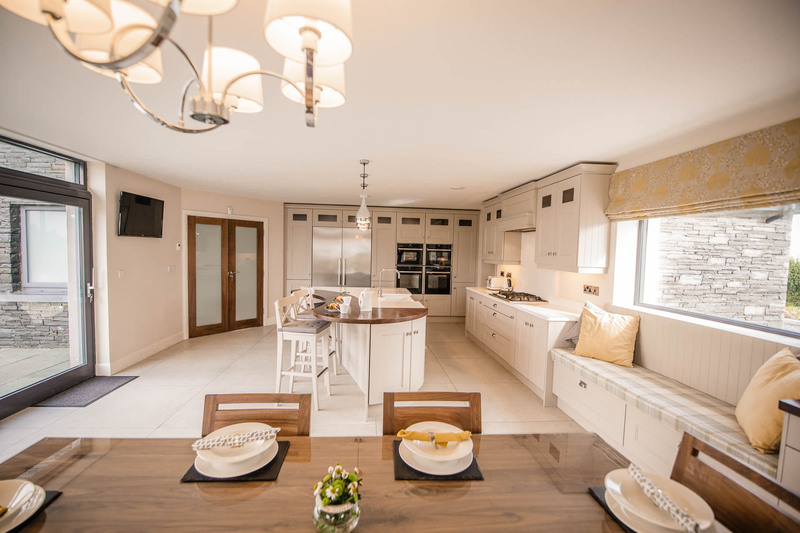 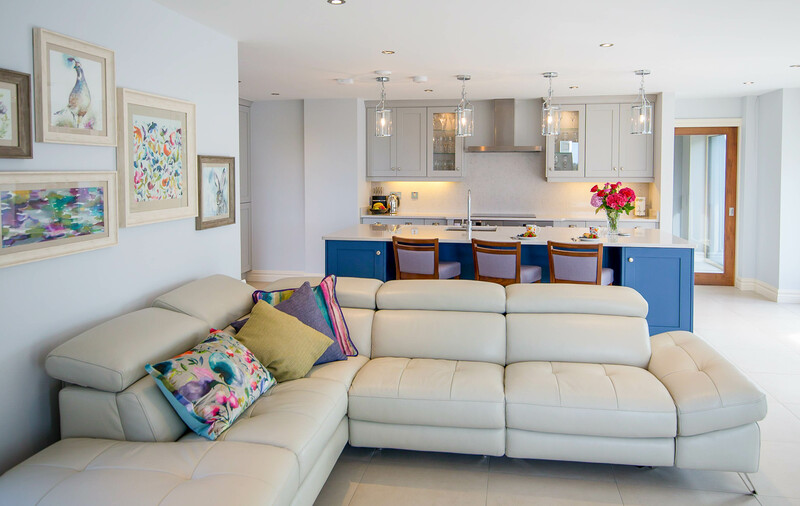 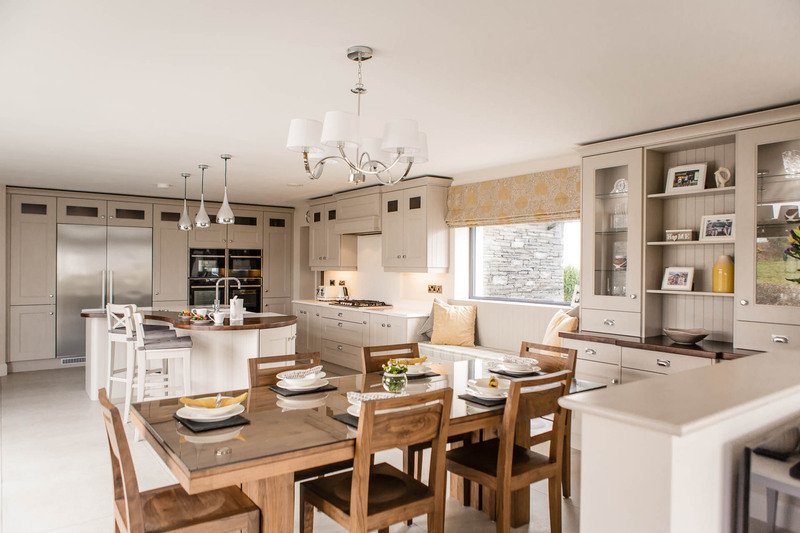 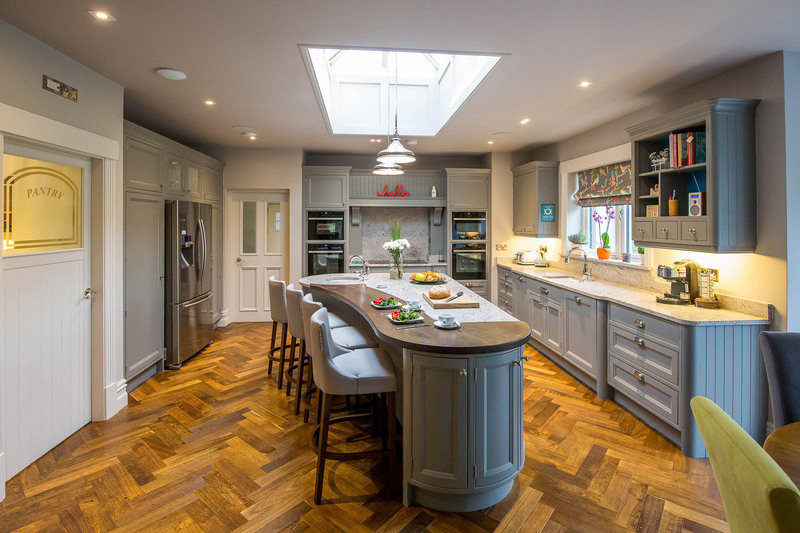 Celtic Interiors is ticking all the boxes with this one. 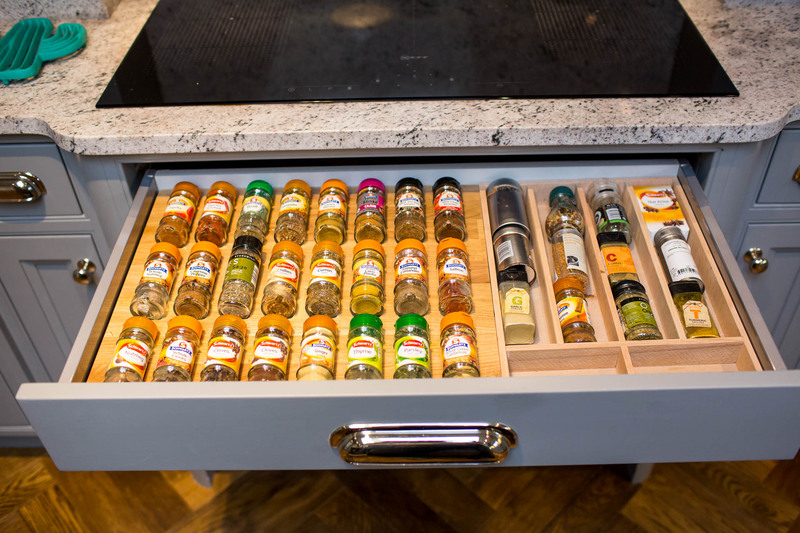 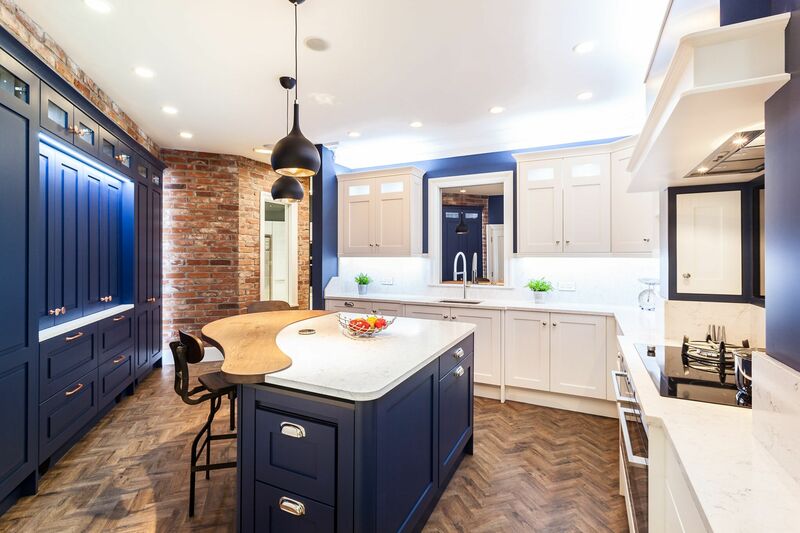 I absolutely love the walk in pantry. 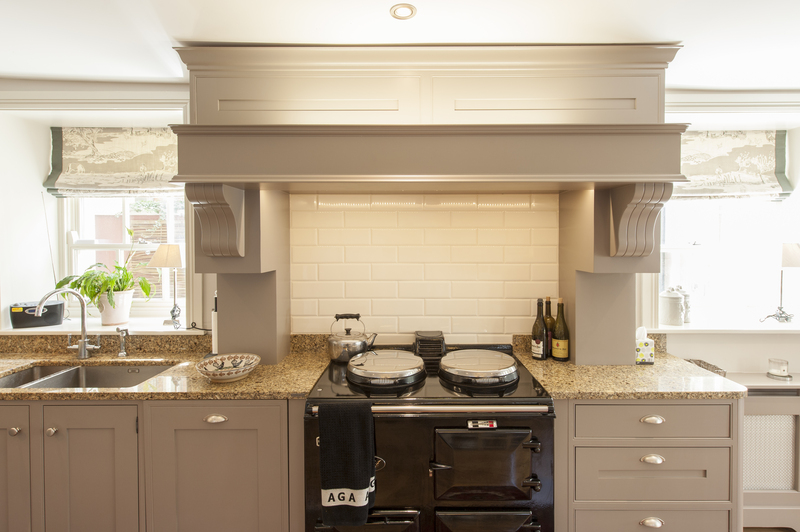 This Design is a Tulip wood painted kitchen. 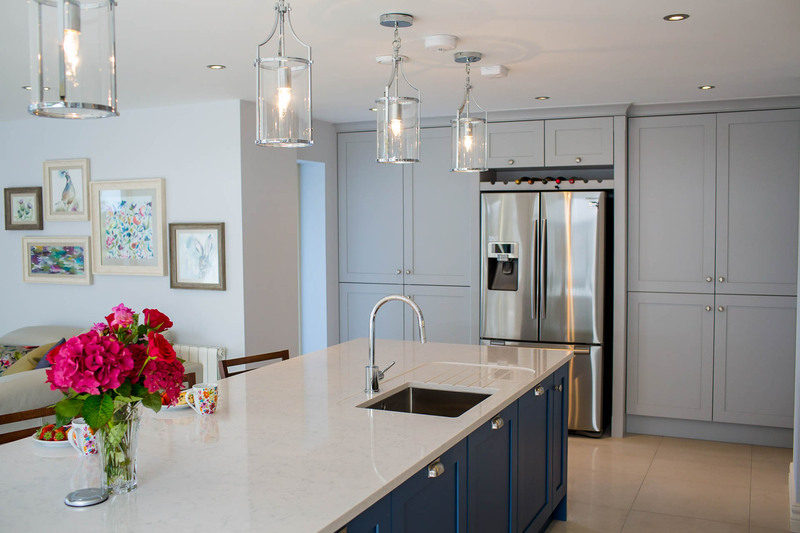 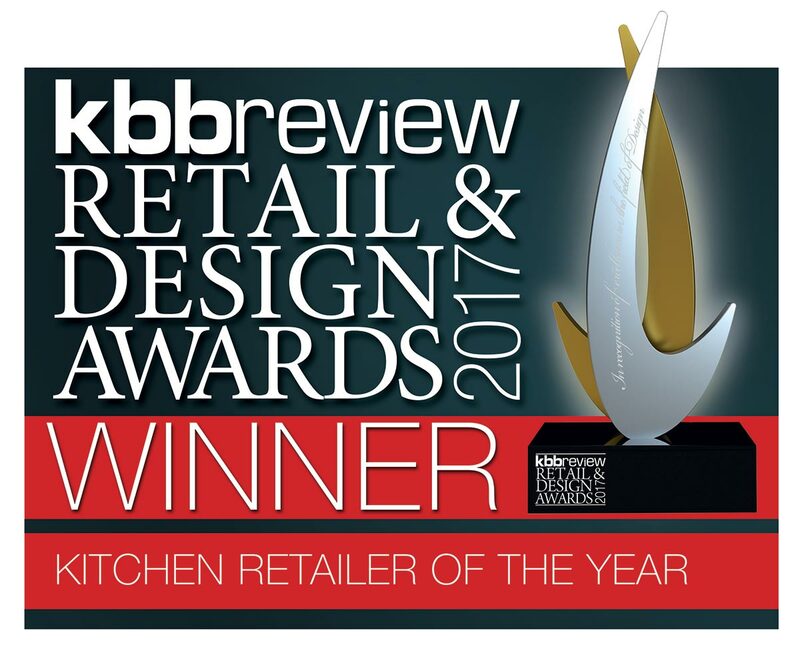 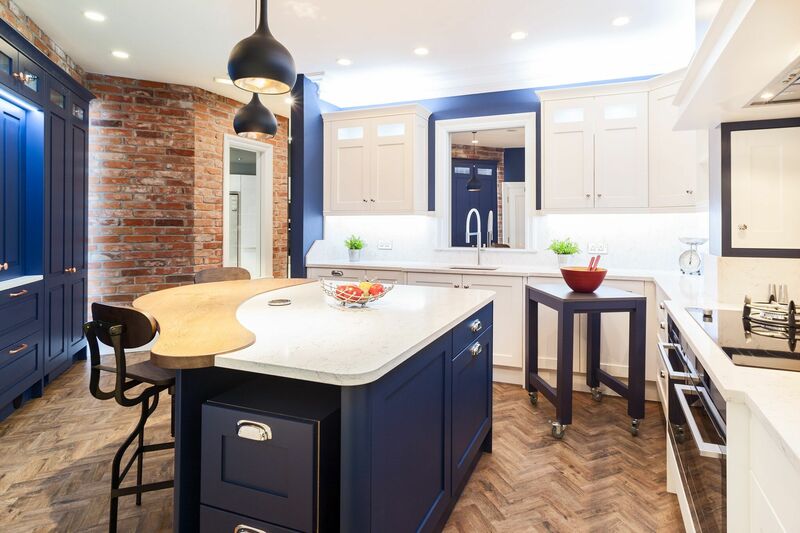 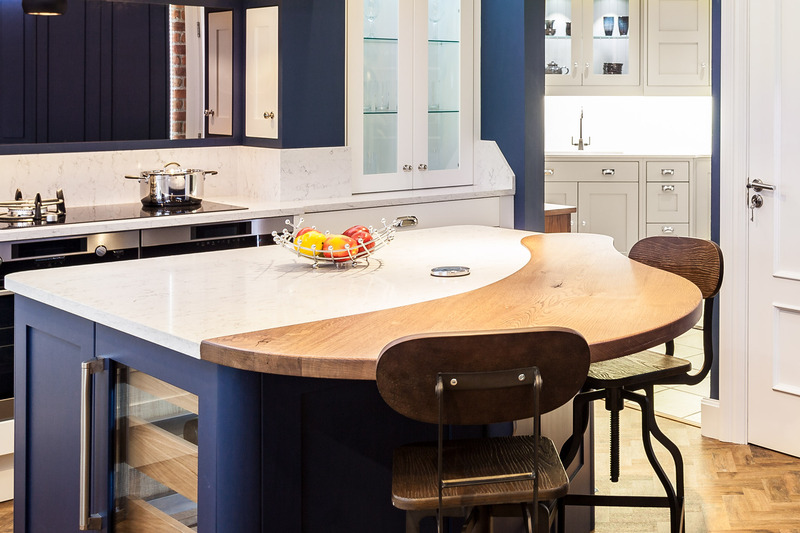 The paint colour is Skimming stone and the work surfaces are Coral Clay quartz and Solid butcher block walnut.